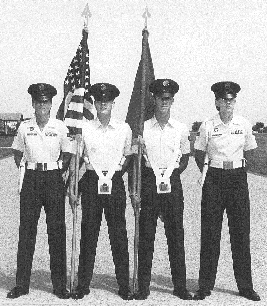 Parade rest with the flag is similar to parade rest for the individual airman except the flagbearer keeps the staff vertical. The order is resumed on the command ATTENTION. The order and parade rest are executed with the color squadron.